RUSSELL Crowe has today reflected on the Anzac legacy after attending the Dawn Service in Coffs Harbour. 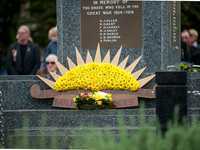 The Water Diviner director, who regularly marks Anzac Day in his family's hometown, also referred to apologies that were read out during the Dawn Service mentioning a host of local dignitaries who were unable to attend the service. 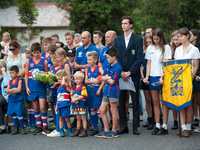 "Another beautiful dawn service organised by the Returned Services Club, the C.ex a big crowd turned up probably 5,000 at least, probably more, and as usual a great deal of enthusiasm and the comradery and spirit with people as they are walking in the dark towards the Dawn Service is something that I always appreciate," Russell said. "Those few minutes that we take out every year to show thanks and respect for the men and women who have served our country and fallen in the course of their duty I think to me is very special and it's a very important part of our culture. "This morning unfortunately the mayor, the two local members and the area command superintendent couldn't make it, obviously needed a sleep because of the pressures that are going to come upon them for the nine o'clock march and service, but I think that's relatively poor form and I know them all and they are very good people and I'm sure me needling them about that in this way will probably ensure that they do turn up again next year," Russell said. The Advocate has asked the question of local politicians after the comments. Coffs Harbour City Council Mayor Denise Knight confirmed that she attended the Dawn Service at Woolgoolga and will be attending this morning's marches at Coffs Harbour and Sawtell. 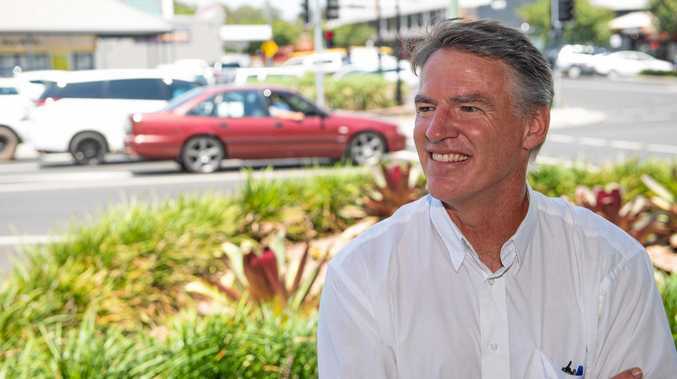 Cowper MP Luke Hartsuyker has confirmed that he attended the Dawn Service in Port Macquarie then quickly jumped in his car to drive up the Pacific Highway to also attend the Coffs Harbour and Sawtell marches. 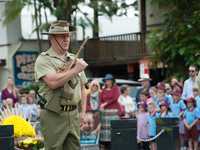 State Member for Coffs Harbour Andrew Fraser confirmed that he also attended the Woolgoolga Dawn Service and will be attending the Coffs Harbour and Sawtell mid morning services and marches. 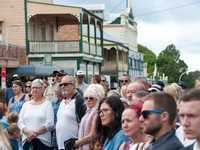 He said he recalls attending services when the cenotaph was positioned near Coffs Harbour's old police station and court house. 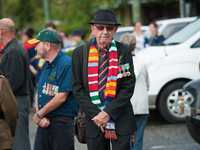 "I know I attended my first Dawn Service in Coffs Harbour when I was five with my grandmother," Mr Fraser said. 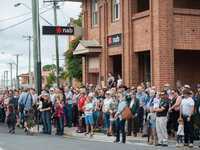 "There's only been two Anzac Day services I've missed since then. One was when I was at Flanders Fields and the other I was at Villers-Bretonneux." Mr Fraser said Anzac Day is a special one for him due to his personal connection. The Member for Coffs Harbour said his grandfather was a gunner who met heavy artillery fighting with the 1st AIF at Villers-Bretonneux. "He was wounded twice and came home with shell shock. It was a tragedy," Mr Fraser said. He added his grandmother's brother was killed on the very last day of fighting in World War 1. "I have the utmost respect for those who fought and sacrificed so much to give us our democracy," Mr Fraser said.